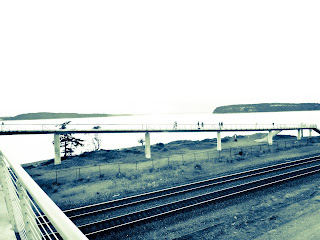 The train tracks ran quite closely to the shoreline on Puget Sound. I thought erosion and thing like that made it not possible to be so close to the sea. 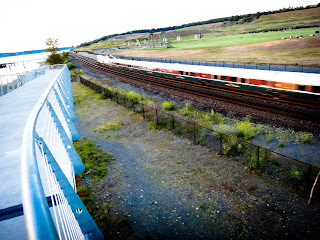 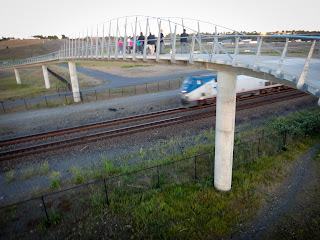 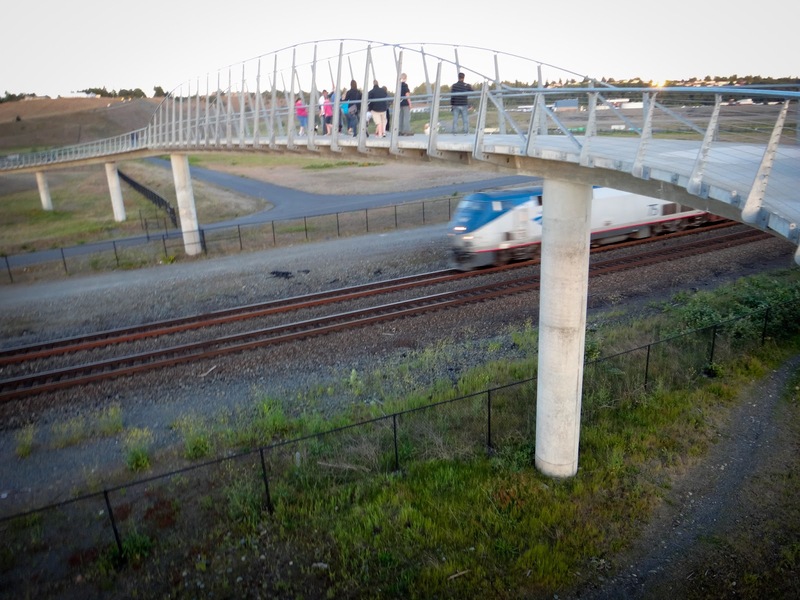 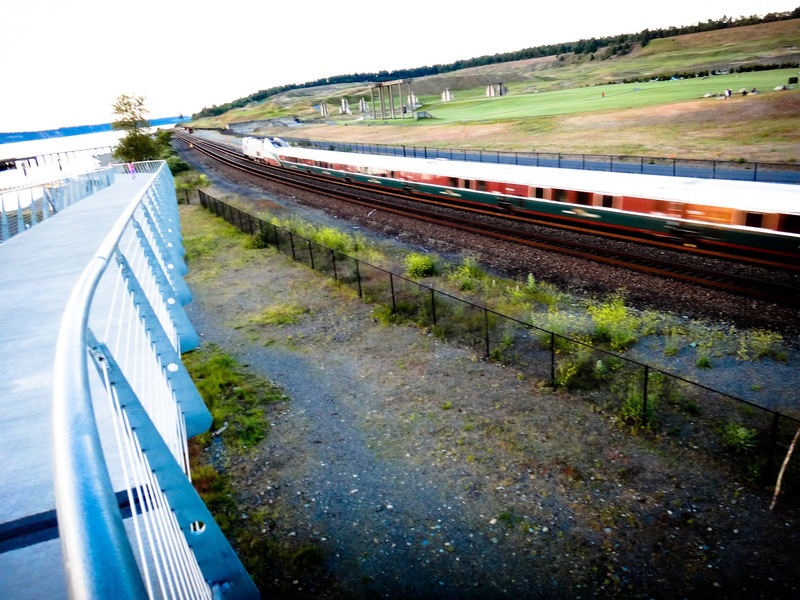 And just to prove that it was an active, working railroad track: the train came by as I stood on the bridge.